Musicworks magazine (for ‘curious ears’), has just released it’s summer issue (#107). In it’s pages, Toronto filmmaker and writer Chris Kennedy profiles my music and sound design work with performance collective Bluemouth Inc., Finger and National Exit Strategy. 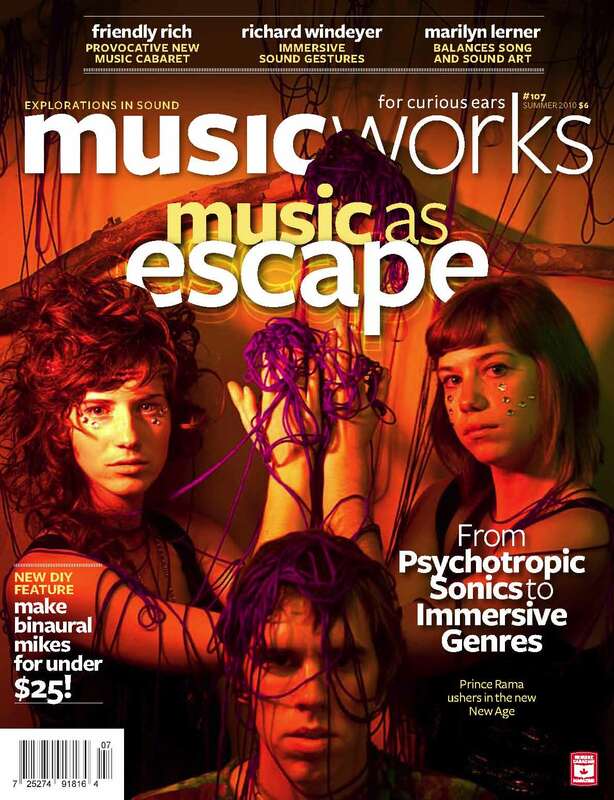 Also included in this issue are profiles of Friendly Rich, Prince Rama, Marilyn Lerner, the genre of ‘psychotropic music’, and Rob Cruickshank’s recipe for making yourself a pair of binaural microphones for under $25. The magazine also comes with a CD, which includes an excerpt of the sound design for Bluemouth Inc’s Death By Water and a cut off the first National Exit Strategy EP.